This week I’m posting midweek and I’m letting my sweet tooth do the talking for me and what better subject to talk about than fudge. Like many of you I expect we have bought & eaten tourist fudge in that picture box, a Cadbury fudge bar or a little rarer from a counter. 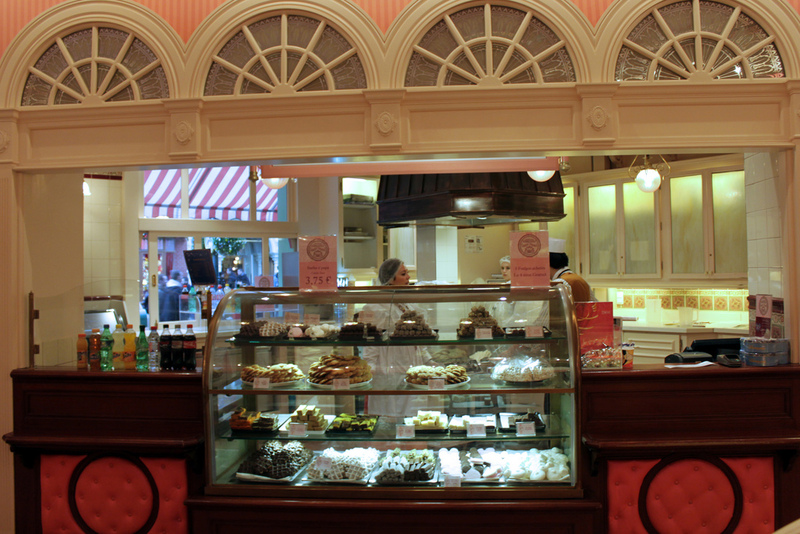 Now of course nothing beats handmade counter fudge and I have tried many but the place to be for fudge or anything that your sweet tooth may wish upon a star for is the Boardwalk Candy Palace down Main Street U.S.A in Disneyland Paris. Granted you can’t just pop there while you do your daily shop and you may question the quality but believe me they really do care about the quality of food and the magic that it creates when eating, plus the look & smell of the shop is something to behold. But before I really delve deeper I should explain that this week I’m actually in Disneyland Paris and I wanted to theme my post this week around my visit. I have visited around 20 times (Considering it opened in 1992 that’s nearly 1 visit a year since its opened! 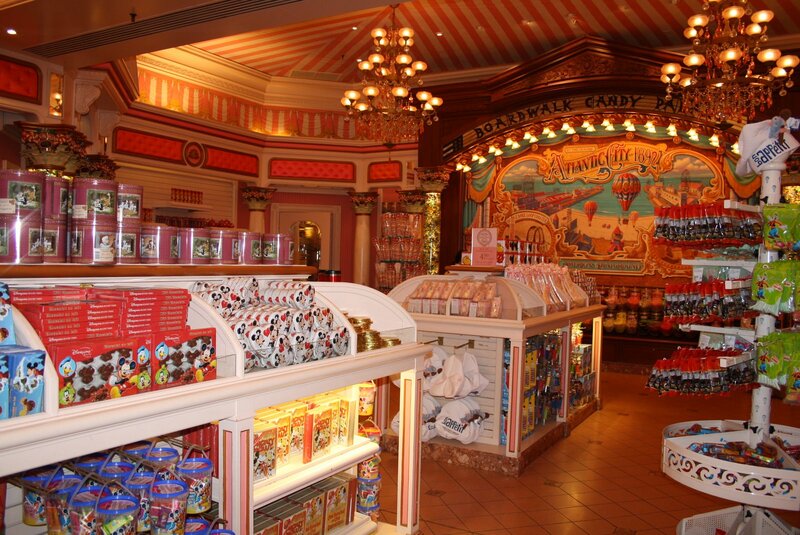 ), so it may not come as a surprise that one of my other passions is Disneyland Paris & The Walt Disney Company. I’m extremely fortunate to have experienced it as many times as I have and everybody should try it at least once in their lifetime for the atmosphere, food, creativity and to bask in the overall feeling of being there. 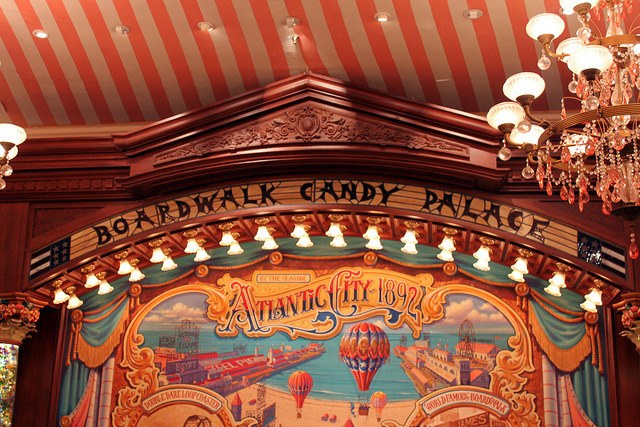 Returning back to Main Street U.S.A to the Boardwalk Candy Palace the décor evokes the image and taste of a sweet place they fill the air with the smell of vanilla, chocolate, candy, marshmallow and other goodies. The details make all the difference such as the pink/white striped ceiling that looks like a pick ‘n’ mix bag to the soft glow of the chandeliers. But its all fake you say! Well in essence it could be, the location is of course an over the top man made environment but the details, effort & knowledge used to design and develop the park means that the chandeliers were sourced by Imagineers from an antique shop, the decorative mural hand painted by a Disney artist and the floor tiles were made. They do that for every aspect from rides, shops, restaurants and hotels so one could argue that as a collective it adds up to create a really rather real & unique experience. The fudge in taste is delicious and its soft but yet not too chewy, it melts in the mouth with a lovely texture and my favourite is vanilla & coconut which with the coconut adds an extra dimension with regards to texture. Having tried all of these apart from the caramel flavours they can be highly recommended, and are a brilliant sweet treat to take back to your hotel room for the evening or the journey home. 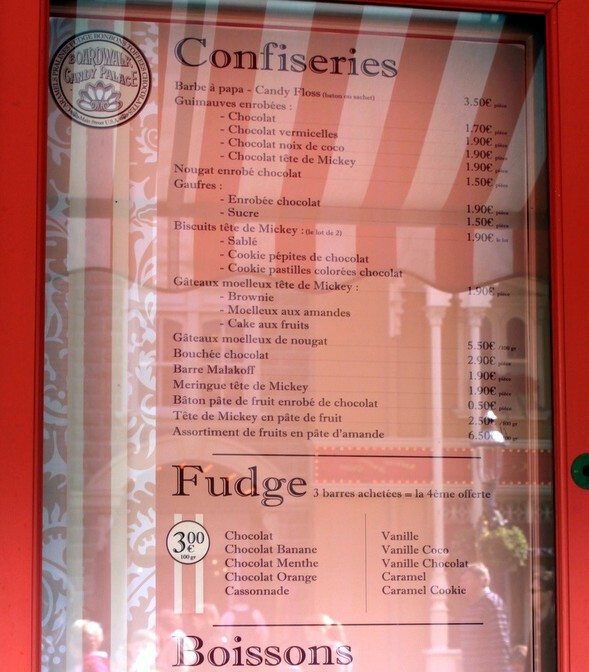 If your in Disneyland Paris or planning to visit then you must try the fudge or at least visit the shop during your visit. I really hope that you have enjoyed this rather different post and that it gives you a little insight into how Disneyland Paris really goes that bit further to ensure the food they produce is as authentic as it can be and that most importantly it tastes good. I wish you all a magical week!